Following my mum’s footstep, I have been religiously drinking MILO since I was a little. In fact, I drink MILO almost every meal! Regardless of where we dine – coffee shop, restaurant, cafeteria, McDonald’s and even in the school canteen during recess – I would surely order herself a cup of MILO to go with my meals. I also love having it for breakfast (which has been made compulsory by mum). Yes, no skipping of breakfast is allowed in the house, and I would be happy to have a cup of MILO to go along with whatever is having for breakfast. Why is having a good breakfast so important? As most of us (including school kids) go through a hectic schedule every day, we need lots of energy and brain power to help us get through the day. Breakfast provides energy to both the body and brain, and this enables kids to focus and pay extra attention during school lessons. A good breakfast provides not only the essential nutrients and energy; it also reduces irritability due to hunger that will disrupt a kid’s concentration in class. Working adults should not skip breakfast to prevent them from being too hungry – which may lead to over-eating at lunch. So, by knowing all these, I guess it makes us realise how important breakfast really is. MILO is not a meal by itself, but the best beverage to go with every single type of food. This is all thanks to the natural goodness of milk, malted barley (that contributes lots of vitamins and minerals to the drink) and cocoa. 2) Giving you the extra energy to go further! Long-lasting energy from PROTOMALT, a unique malt extract which is found only in MILO, this helps you concentrate better and longer in the class, and still feeling energetic even after school. MILO aids in the release of energy from food with a combination of B vitamins and Magnesium. This helps you to be one of the fastest runners during school PE activities, with enough energy to last you through the rest of the lessons in school after PE. 4) Hello Milo, say Cheese! Calcium found in Milo builds strong bones and teeth. Yeah, growing tall and strong, it also gives your children the neatest and nicest set of teeth ever. First sold in 1936 and locally produced since 1984, the great taste of MILO is well-loved by everyone, passing down from generations. That’s why you can easily see at least a tin of MILO in every Singapore household. No doubt, I am still taking MILO regularly. With a cup of warm MILO drink and my all-time favorite MILO banana sandwich (My MILO banana sandwich recipe has been a hit since I first posted it up 4 years ago! ), anyone would happily chow down before setting off to work or school. If your kids do not want to take breakfast, here are some great videos that you can enjoy watching! I was totally impressed with what the kids said in the videos, with their charming little voices. They reminded me of how important breakfast is for everyone. You can also watch the videos on the MILO FACEBOOK PAGE. Like I said, MILO was part of my breakfast routine when I was growing up – and the same would go on to my net generations. Now that I am a busy working adult, a cup of MILO as a breakfast or after lunch drink is a must for me to replenish my energy. 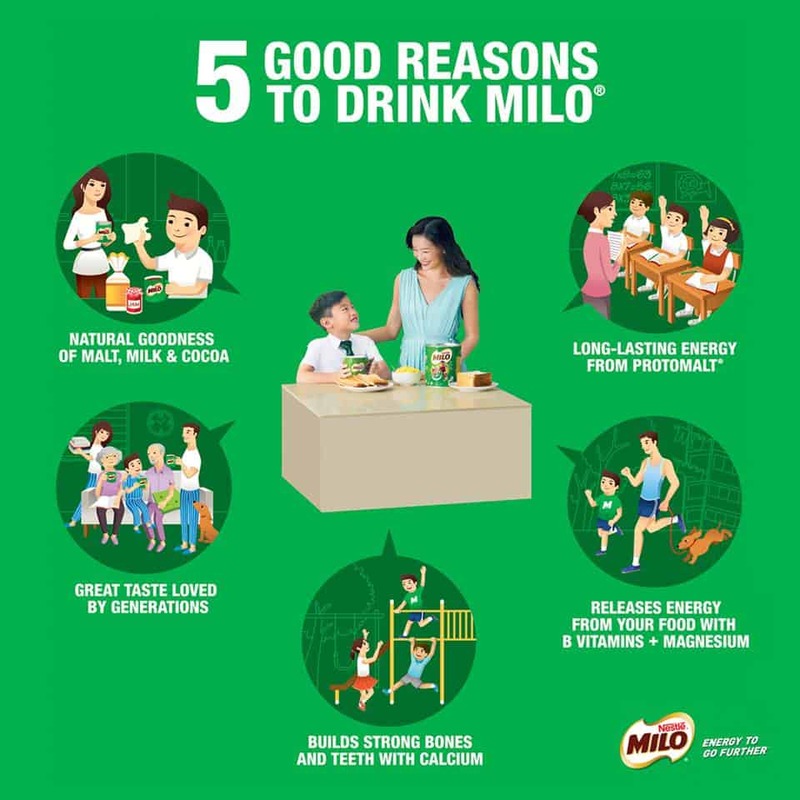 For both my family and I, MILO is like a nutritious beverage that goes well with our breakfast food, such as my nice homemade bread, toasted bun, fried bee hoon, nasi lemak, and prata. 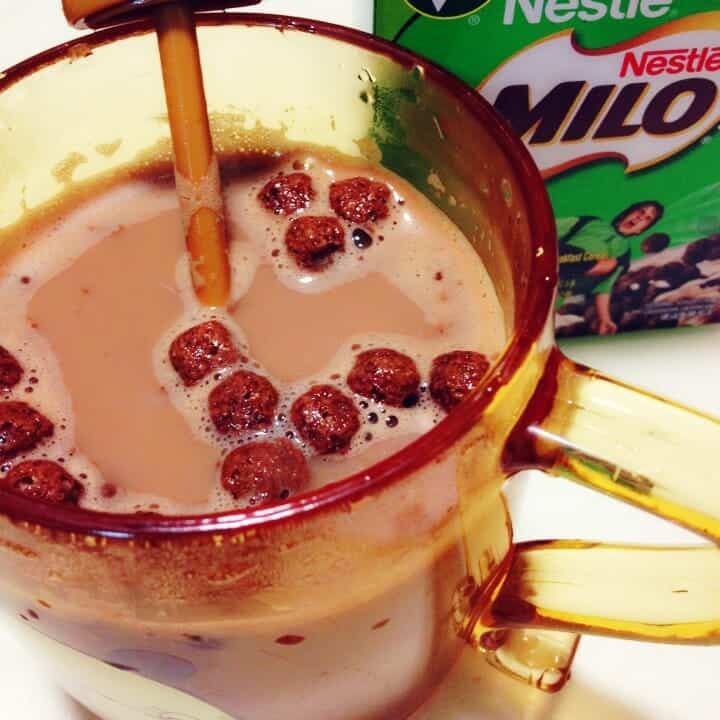 Yes, our daily cup of MILO complements every single breakfast food! 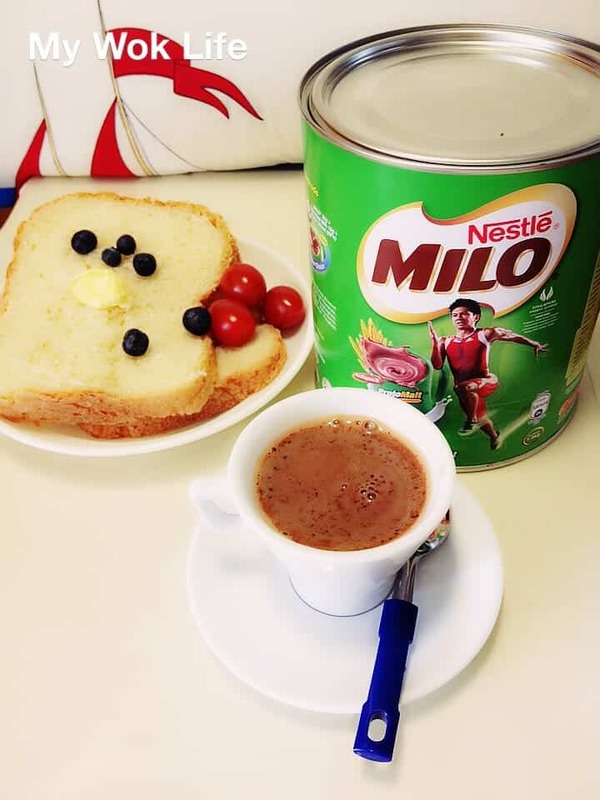 So, the next time you prepare breakfast for yourself and your children, don’t forget to include a delicious cup of MILO, too! In 2006, MILO attained the Healthier Choice status from Health Promotion Board. 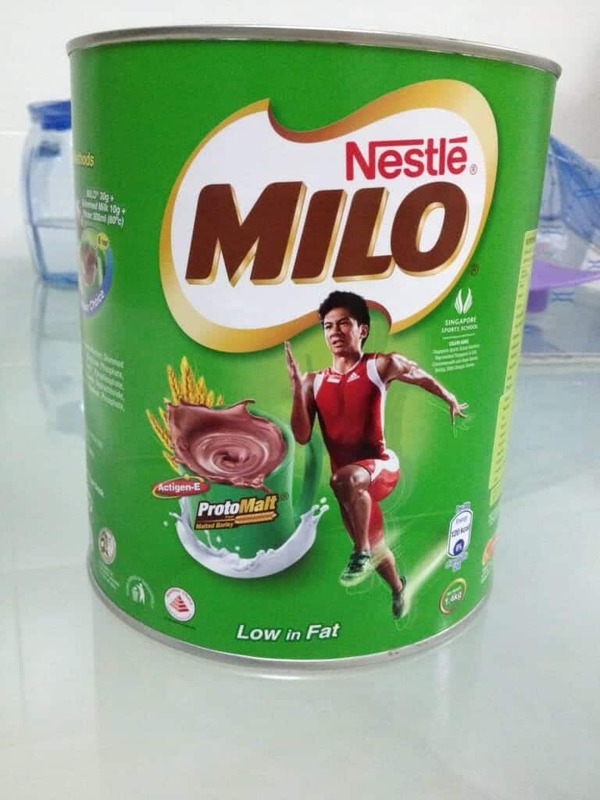 As Singapore’s favourite energy drink, more than 1 million cups of MILO are given free to Singaporeans annually through various sports and community events. Hmmmm…. I guess it’s pretty much depends on her overall daily diet as well. By drinking Milo will not possibly have the issues if diet is balance and moderate. My own experience with daughter who drinks Milo or Milo kosong 1-2 times a day do not have issues on weight and health. In fact, she is now 48kg in Sec 1.